Kraków is the second largest and one of the oldest cities in Poland. Situated on banks of the Vistula River (Polish: Wisła) in the Lesser Poland region (Polish: Województwo Malopoľské), the city dates back to the 7th century. 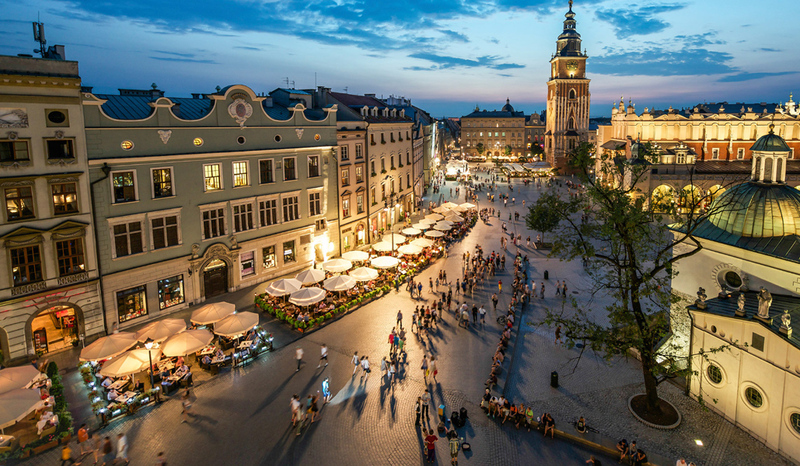 Kraków has traditionally been one of the leading centres of Polish academic, cultural, and artistic life and is still one of Poland's most important economic hubs. Kraków has a rich cultural program throughout the year. 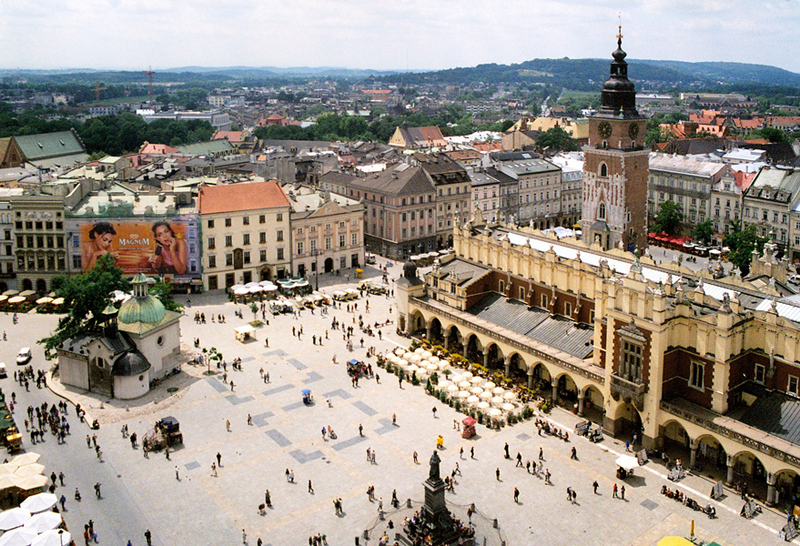 One of the most crowded months is June, when the Days of Krakow take place. On these days it is live in the city with many concerts, theater performances and other events. Followed by Jewish Culture Festival, Fair folk art and feast Lajkonik, June is a perfect month to take a trip to Kraków. Collegium Maius is the oldest university building in Poland and one of the oldest European universities. Czartoryski Museum unique and unusual museum of Princess Izabela Czartoryska from 1800. Rynek Główny (Market Square) is a medieval marketplace, with dimensions of 200 meters x 200 meters, is the largest in Poland, possibly even Europe. 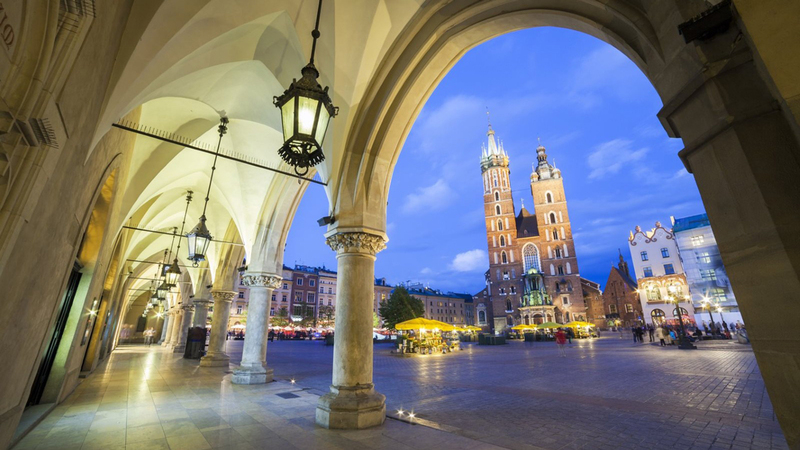 St. Mary's Church is the the second most important church in Krakow after Wawel's Cathedral. Royal Castle is a symbol of Poland. It was the throne of Polish kings for 500 years. Wawel Cathedral is the most important Polish Cathedral. A walk around the royal sarcophagi is a true showcase of Polish history. Royal chamber a walk through the impressive chambers, renovated in neo-Renaissance forms that are filled with ancient furniture and art. Dragon's Den a legendary cave in the western slope of Wawel Hill, surely among great curiosities of Wawel. Kazimierz it used to be a separate town, now it is a part of Krakow, very well known for its Jewish quarter.